What’s meant to be will be? Adam and Bronwen were supposed to meet on a blind date arranged by their best friends, however that fell through, but then, a few months later they met at a friend’s birthday party anyway and the rest as they say, is history. 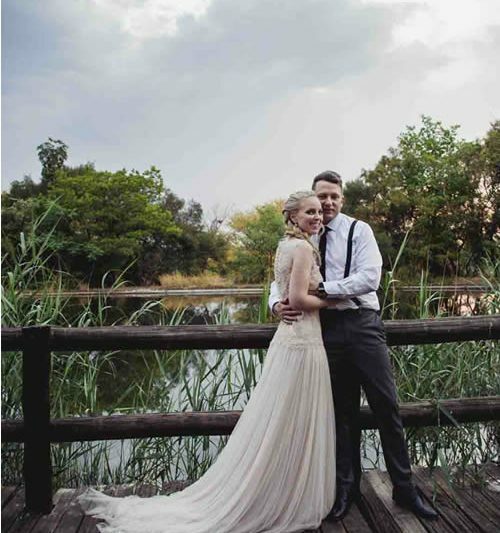 Adam proposed to Bronwen on her 29th birthday, which also happens to be Valentine’s Day, at a romantic picnic breakfast at Emmarentia Dam. 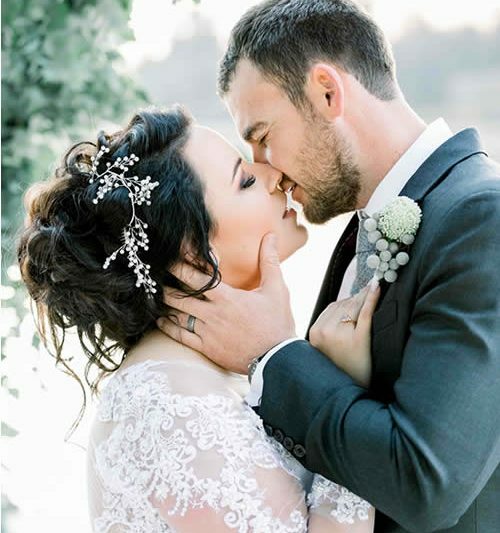 Adam was considerate in his arrangements, choosing the perfect day and ensuring that the setting was peaceful, casual and intimate, away from the maddening crowd, exactly how Bronwen prefers it!! He even ordered the perfect weather, as it was a cool, cloudy day. He casually, non-traditionally, stayed seated close to her, and gently asked for her hand in marriage. Bronwen says, none of that clichéd kneeling pomp and ceremony required and she loved everything about Adam’s proposal. Their personalities complement each other well even though they are quite different. Bronwen being the artistic, bohemian kind of gal and Adam being minimalistic and modern, but they find they also have a lot of similarities in other areas and are fiercely supportive of each other. 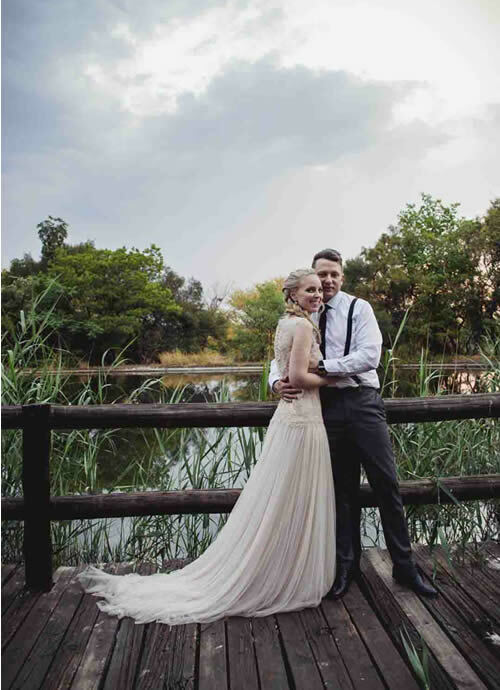 Being real city kids, and true “Vaalies”, they both agreed to get married in Jozi. Adam being born and raised in the province, and because they both love the city, they wanted to incorporate it into their special day somehow. 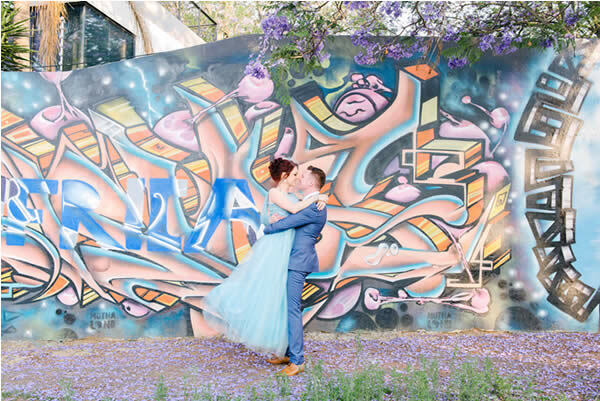 They even had their engagement shoot, shot around various Gautrain stations! They wanted to get married in a proper Church, steering away from what seems to be the norm these days i.e. 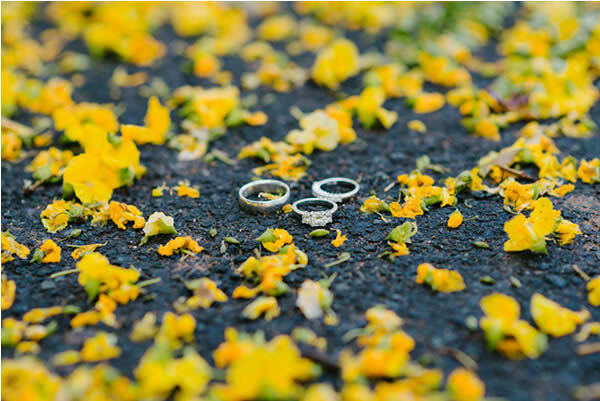 destination weddings, non-denominational chapels, chapels at venue’s etc. and they agreed on an old Anglican Church, St. Martins, which they found on google, and instantly fell in love with. For their special day they wanted to include elements to complement the historical city they both love, so Bronwen says “both St. Martins as well as Katy’s are quite “retro urban” with charming unique details of their own, so we embraced those qualities and didn’t add to much clutter.” Stationery was kept very simple and eliminated several traditional extras for example, favours, throwing of the bouquet and garter as well as the wedding cake and added many of their own original quirks. 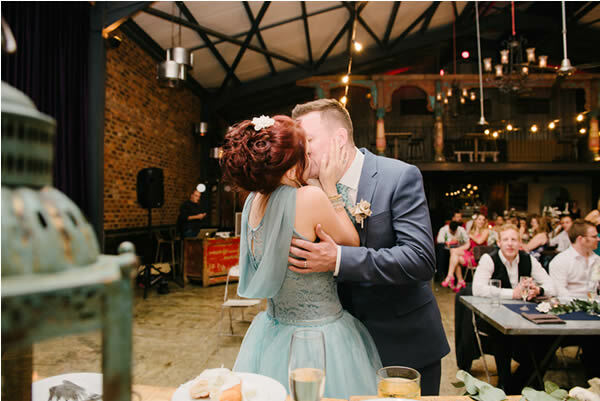 When asked about how they made their vision or style a reality for their wedding day, Bronwen says that she had no idea where to begin and to add to that she had very little time to plan the wedding due to some overseas guests being unable to attend at any other time. 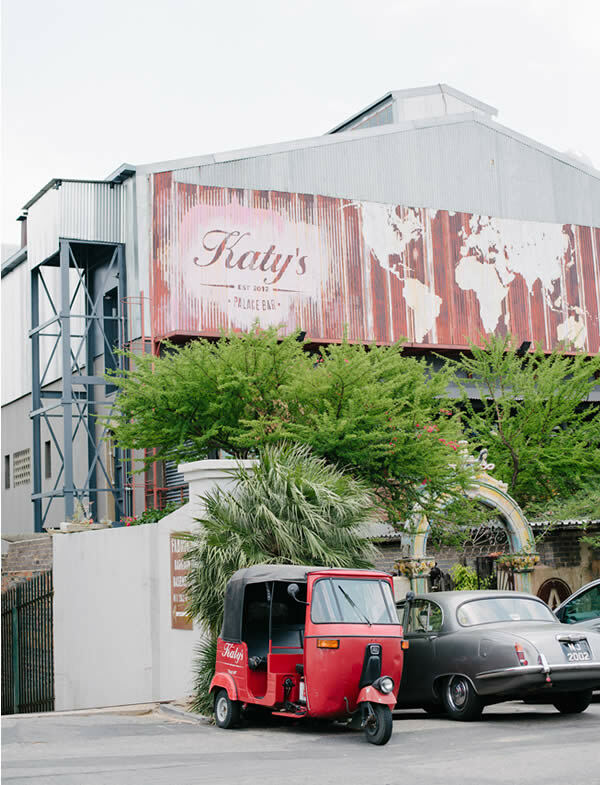 As a result they enlisted the help of an incredibly talented and highly recommended wedding planner, Louinette Weyes or Impressionant Events. 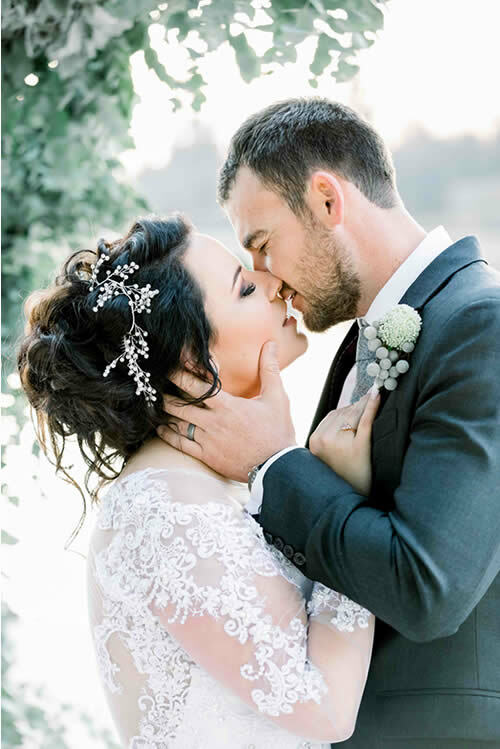 For their choice of flowers and décor they opted for a simple palette of mixed metallics and neutral colours. 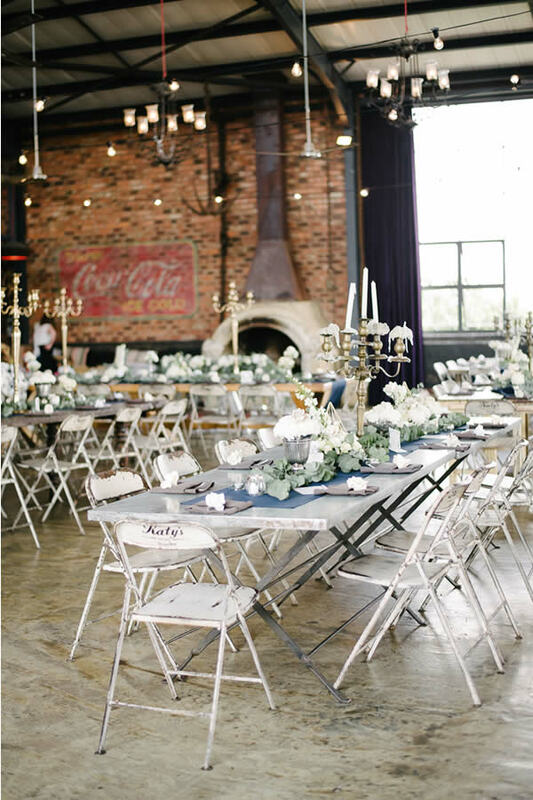 They chose fabrics in navy and charcoal, metallic table decorations, brass, copper, pewter and silver and assorted white and cream flowers. They also had hundreds of paper roses made, which were incorporated into the table décor, and the guys’ buttonholes as well as the ladies bouquets (they each had an oversize rose!). 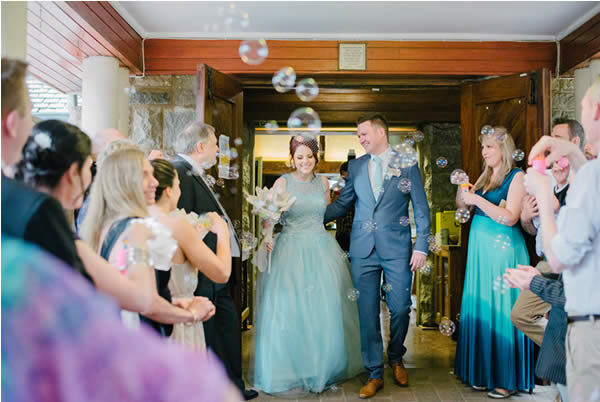 It was important to them that there was a lot of mixing and matching – not one table matched any other in style or size, keeping this a fun and unexpected element of their wedding day (much like their personalities we’d say!). They also gave these as gifts, what a delightful idea. 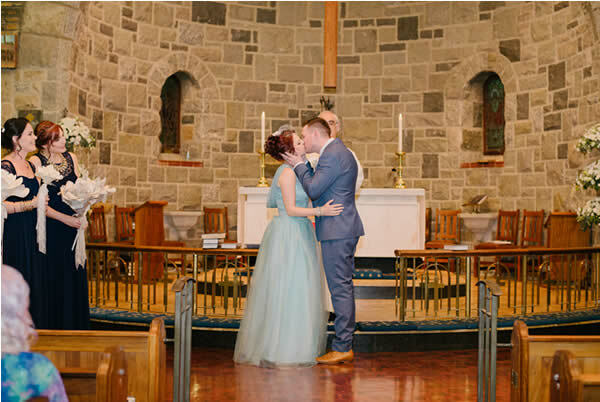 Bronwen opted for a baby blue coloured wedding dress; the reason being is that it is Adam’s favourite colour. She doesn’t even own any blue clothes, so she wanted it to be a grand and wonderful surprise. 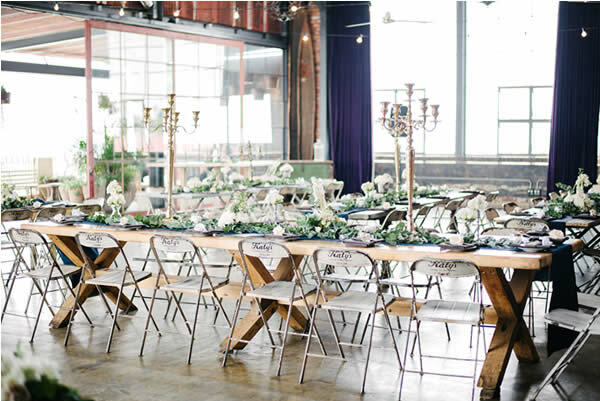 She adds that so much of the wedding catered to her own boho taste, and she knew it would be a huge surprise. 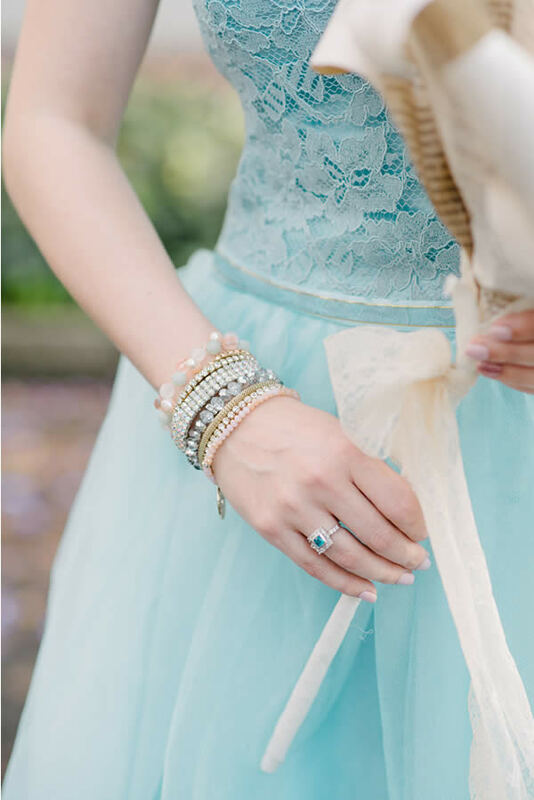 Needless to say, her jewellery comprised of collected pieces of mixed metals and soft pastels, nothing quite matched but everything went together perfectly. 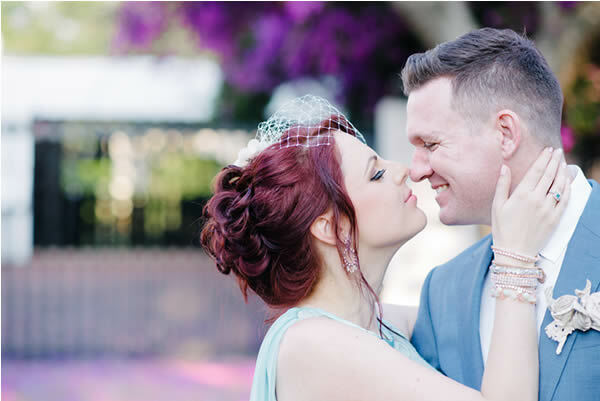 She had deep plum red hair for the day in a gorgeous up do, with natural, slightly shimmery make up. She preferred that each of her bridesmaids choose their own hairstyle for the day. 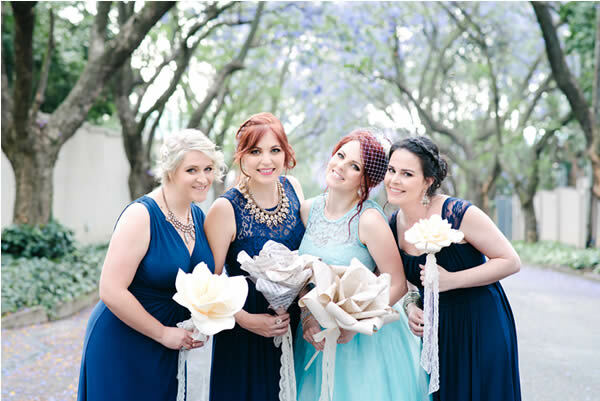 As none of their bridal party members lived in Jozi, planning the outfits was a tricky one. 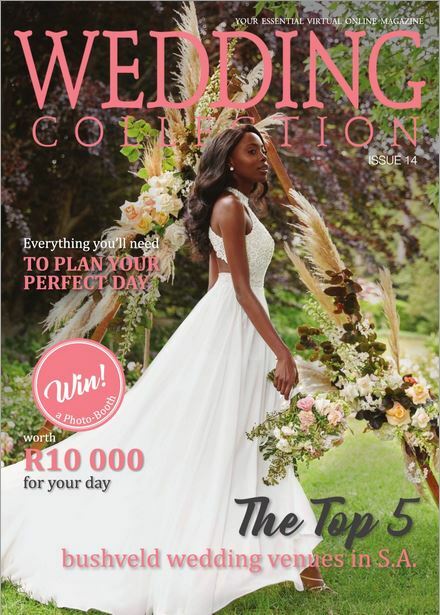 They eventually gave each of their girls a budget and let them choose their own gown with the only criteria being that they choose a navy, floor length dress with a touch of lace. They could also wear any metallic coloured shoe they wished and Bronwen, of course, bought each girl a crazy statement piece of costume jewellery, items they may never have chosen for themselves, but hey, this was her special day, right? As for the guys, the couple asked them to wear black suits and white shirts. 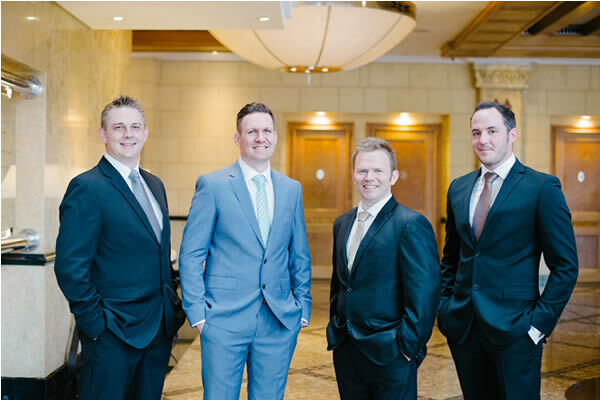 Then, to add their own personal touch, they chose a different metallic tie (gold, silver, copper) for each. Adam also chose each guy a pair of colourful patterned socks (his own trademark). The whole look was seamless in the end, though each person looked different and they loved it! 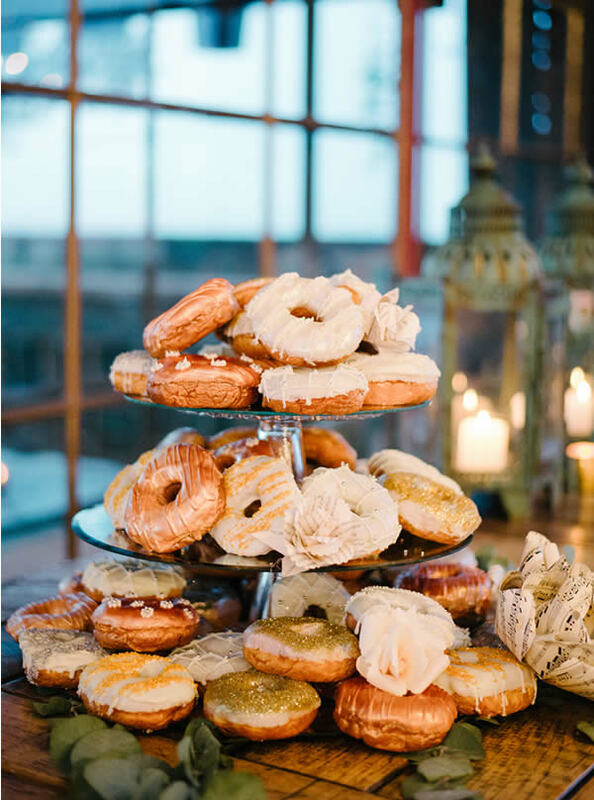 In keeping with their unusual, non-traditional taste, they opted for, and instead of the normal wedding cake, the humble doughnut. 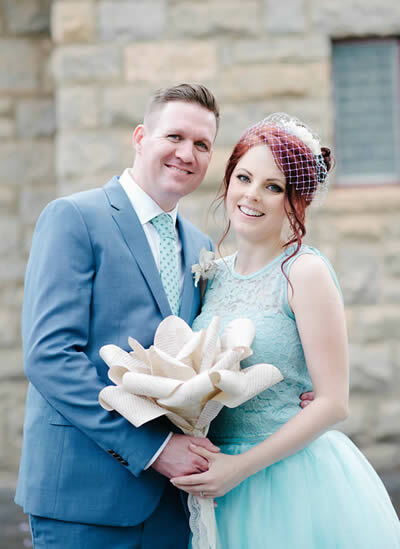 They both love them and chose to have heaps of wedding-appropriate doughnuts, decorated with; you guessed it, magnificent gold, copper and silver designs, each doughnut being a work of pure art. Bronwen says that every single thing they did and did not do was handpicked and truly thought through. They did not over complicate anything and in fact, they simplified as much as they could and the results were unexpected, exceptional and unforgettable. 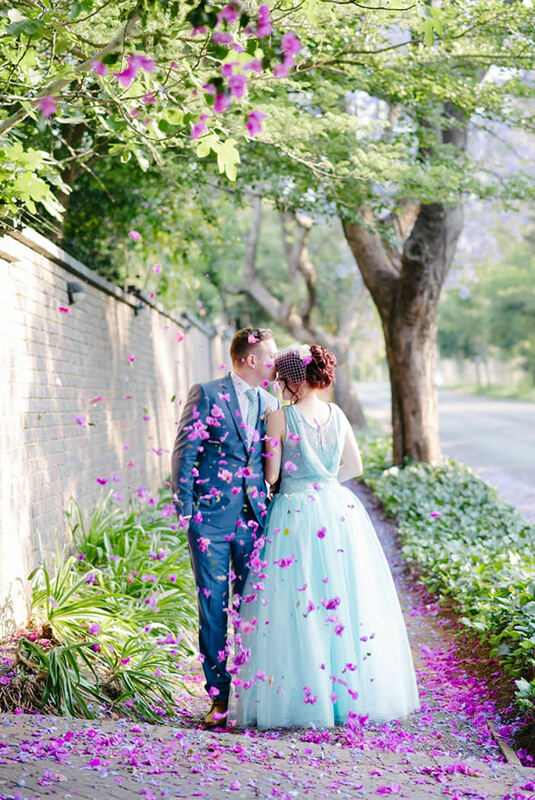 Almost every guest remarked how unconventional their big day was and that made them very proud. 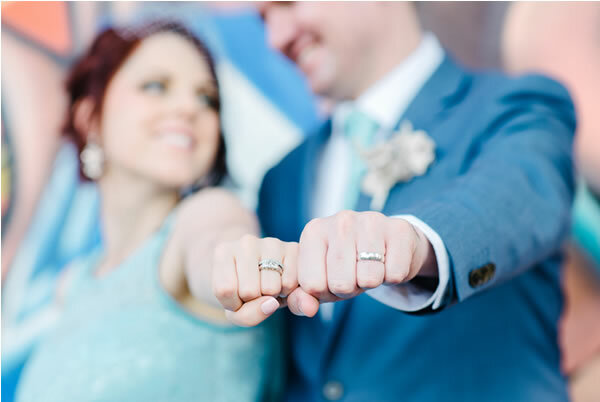 Bronwen’s best advice to brides and grooms’ planning their wedding day is extremely controversial, but both Adam and she swear by it, based on their experience. “I’d say draw up a guest list, then cut that list down by a ¼. So many wonderful people will make the effort to attend (many from far, far away) and if you only get to greet them as they are leaving, you probably have too many guests… Make sure that every invitee is on your list for the right reasons and not just to make up numbers. I mean this in the kindest possible way! “smiles Bronwen.